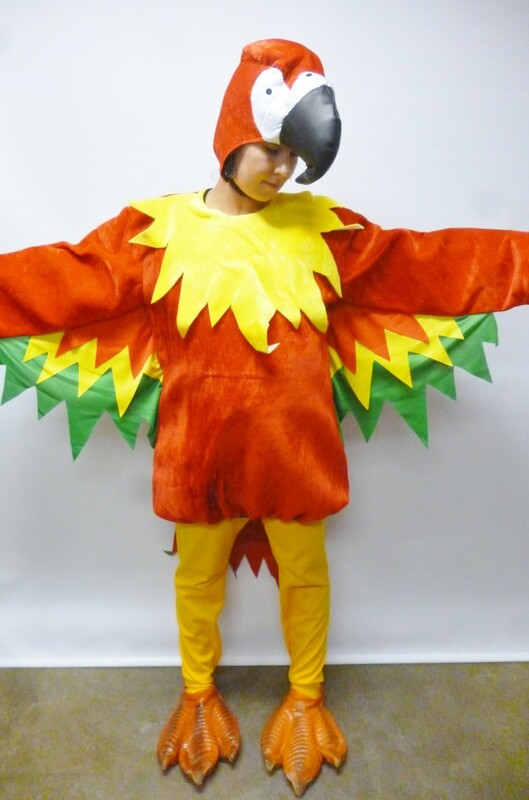 Polly want a cracker? 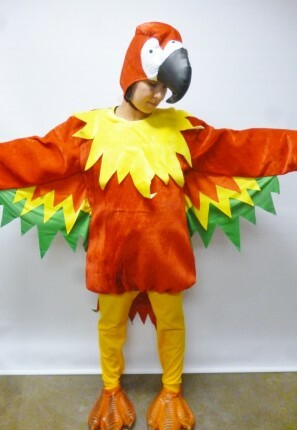 This red parrot costume is great for a jungle, pirate or Rio tropical party. Maybe even an Olympic Brazil party. Comes with body suit, head, leggings and feet.